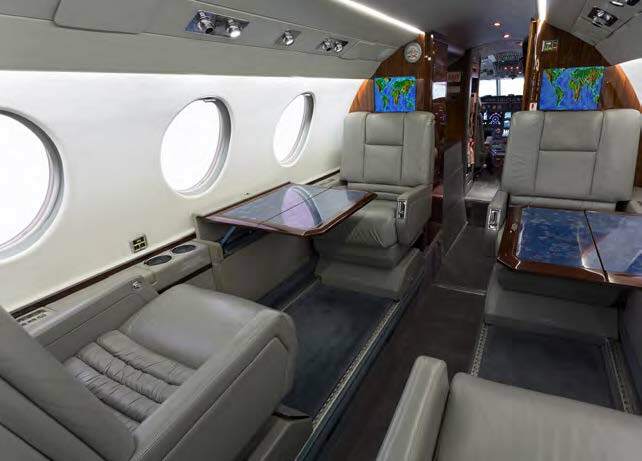 This is an executive interior configured for nine passengers. 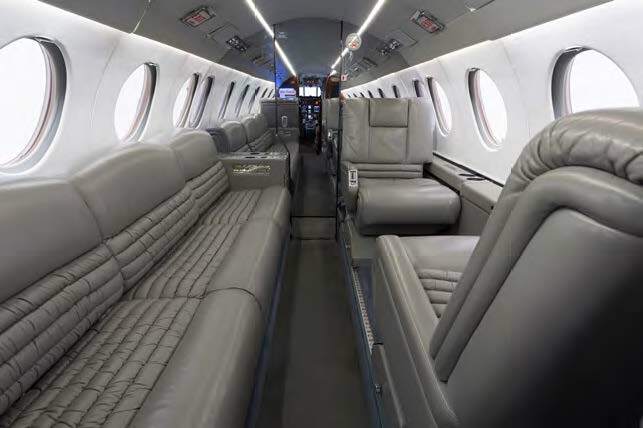 The cabin layout starts with a four club seat configuration, three place divan and dual aft berthable chairs all upholstered in gray leather. 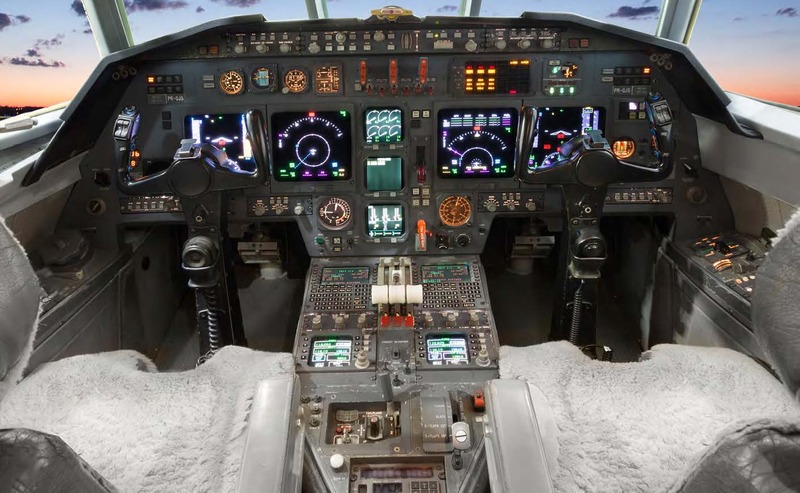 This aircraft also has a side facing jump seat installed approved for takeoff and landing. The cabin carpet is dark blue throughout. Full forward galley and refreshment center with electric oven and microwave. 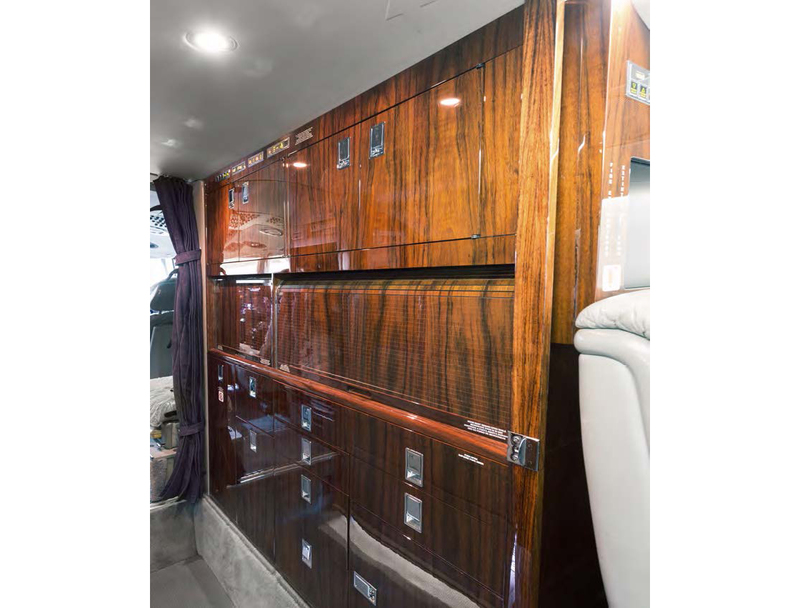 The entertainment system consists of a 410 Airshow, Rosen Blueray DVD player with 14.2 inch LCD monitors. The plating and fixtures are clear chrome throughout. The cabin also has 110- volt AC/60 Hz power outlets for passenger accessories. 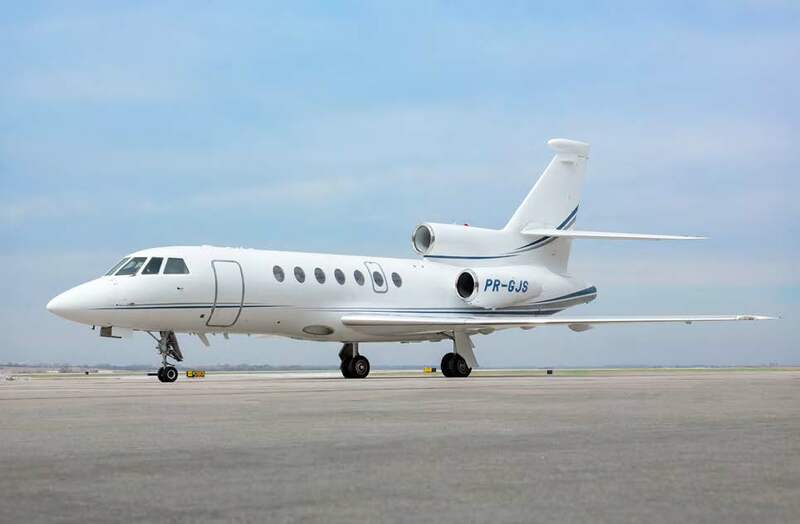 In addition this aircraft also has a fully enclosed AFT lavatory for passenger privacy. Overall Matterhorn white with silver and blue accent stripes. Painted by Duncan Aviation 2009.